2) Same Arms. Crest—A demi lion ramp. az. 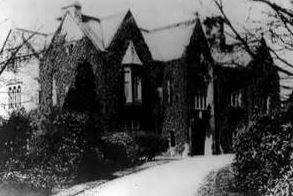 3) (Strectyate, afterwards of Peel Hall, or Wicheeves, co. Lancaster). Per fess sa. and ar. on a fess embattled counter-embattled betw. three gates as many goats’ heads erased all counterchanged. Crest—Out of a ducal coronet or, a goat’s head sa. armed gold. Motto (over the crest)—Legale Judicium parlum. 4) (Holm Cot, co. Devon). Az. on a fess hetw. two gates in chief or, and as many swords saltireways in base ppr. three goats’ heads erased sa. Crest—A goat’s head erased ar. guttee de larmes, pierced through the neck fesswise with a sword point to the dexter ppr. Motto—Pro rege et patria. 5) (Park-Yates). Per fess nebulee ar. and gu. a goat’s head couped betw. three gates all counterchanged. Crest—A goat’s head couped ar. crusily gu. in the mouth a cinquefoil slipped vert. 6) (John Ashton Yates, Esq., of Bryanstone Square, London). Per pale or and az. a fess dancettee betw. three gates counterchanged. Crest—A demi antelope or, gorged with a collar dancettee az. and holding betw. the legs a mullet pierced sa. Motto—Sit quarta coeli. 7) Az. on a fess ar. betw. three gates or, as many antelopes’ heads ppr. Crest—An antelope’s head ppr. 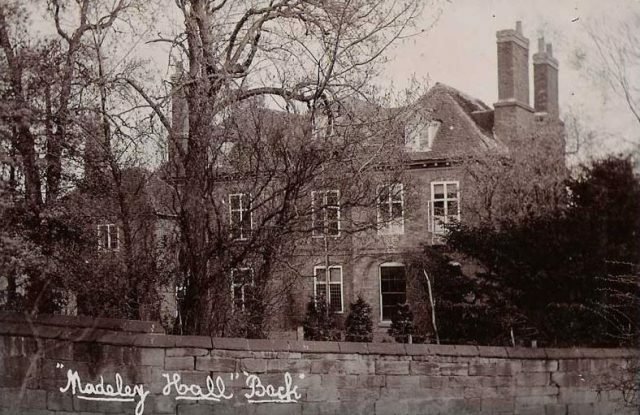 8) (Oakwood Hall, co. York; Ernest Bentlet Shaw-Yates, Esq., of Oakwood Hall, is eldest son of the late Robert Bentley Shaw-Yates, Esq., by Elizabeth Ellen, his wife, only dau. 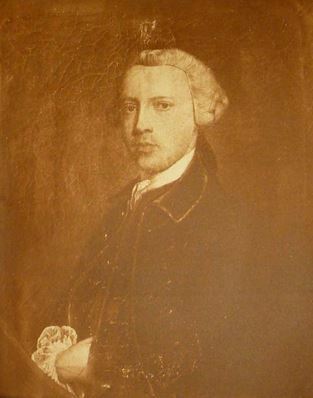 and heir of James Yates, Esq., of Oakwood Hall, and grandson of Bentley Shaw, Esq., of Woodfield, co. York). Az. on a chev. engr. erminois, betw. two goats’ heads erased in chief ar. armed or, and a gate in base of the last three pellets quartering Shaw, of Ardersley, and Lancaster, of Richmond. Crest—Upon a mount vert a goat’s head erased ar. armed or, charged on the neck with a pellet and surmounting two branches of oak in saltire ppr. fructed or. 9) (Buckland, co. Berks). Ar. a fess embattled betw. three gates sa. Crest—Out of a ducal coronet or, a goat’s head sa. attire and tufted gold. 10) Same Arms. Crest—A horse’s head gu. 11) (Buckland, co. Berks, bart., extinct 1690; Edward Yate, Esq., of Buckland, was so created 1622; Sir John Yate, fourth bart., d. unm.). Per pale embattled ar. and sa. three field gates counterchanged. 12) (Hynton, co. Berks, and Bentlott, co. Oxford; John Yate, of Hynton, and Francis Yate, of Bentlott, sons of Andrew Yate, of Hynton, who was son of John Yate, of Charney, Lord of Lynford, co. Berks, and grandson of Richard Yate, of Charney. Visit. Oxon, 1574). Per fess embattled or and gu. three gates counterchanged, quartering, Gu. a chev. vair betw. three crescents erm., for Goddard. Crest—Out of a ducal corouet or, a buck’s head sa. attired ar. 13) (Stanlake, co. Oxford; James Yate, Esq., of Stanlake, grandson of John Yate, Esq., of same place, eldest son of Edmund Yate, Esq., of same place, temp. Edward IV., who was great-grandson of William Yate, gent., of Charney, co. Berks. Visit. Oxon, 1574). Per fess sa. and ar. on a fess embattled counter-embattled betw. three gates as many goats’ heads erased all counterchanged. 14) (Witney, co. Oxford; Thomas Yate, Esq., of Witney, temp. Queen Elizabeth, son of Leonard Yate, of same place, who was second son of Edmund Yate, Esq., of Stanlake, temp. Edward IV. Visit. Oxon, 1574). Same Arms, a crescent for diff. 15) (co. Oxford). Per fess crenelle or and gu. three gates and as many crescents counterchanged. 16) (Chaddesley-Corbett and Harvington, co. Worcester). Ar. a fess embattled betw. three gates sa. 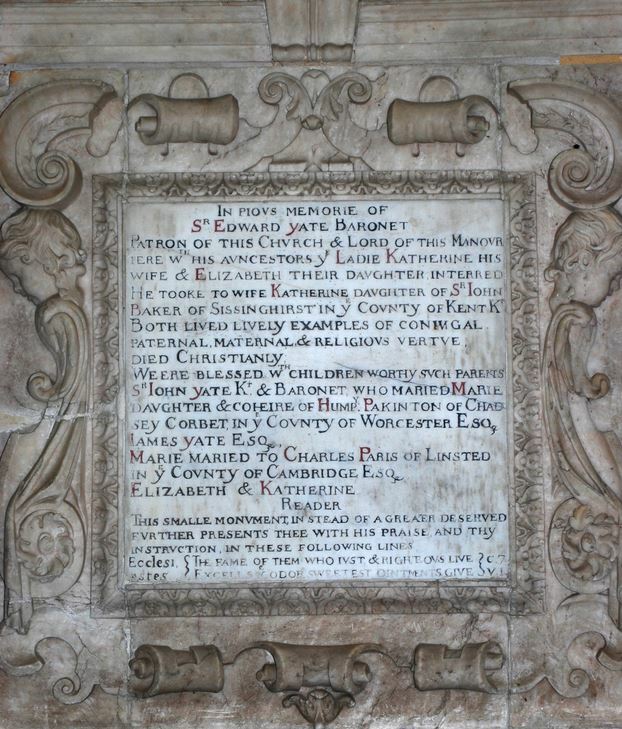 17) (Wotton Waven, co. Warwick; confirmed by the Deputies of Camden, Clarenceux, to Thomas Yate, of that place, grandson of Richard Yate, of Buckland, co. Berks). Per fess embattled or and gu. three gates counterchanged. Crest—Out of a ducal coronet or, a goat’s head sa. armed ar. 18) (Arlington and Crepingham, co. Gloucester). Az. a fess or, in chief two mullets of the second. 19) (Uppham, co. Wilts). Per fess sa. and ar. on a fess embattled betw. three gates as many goats’ heads erased all counterchanged. Crest—A demi goat ramp. per pale sa. And ar. attired counterchanged, holding betw. the legs a gate or. 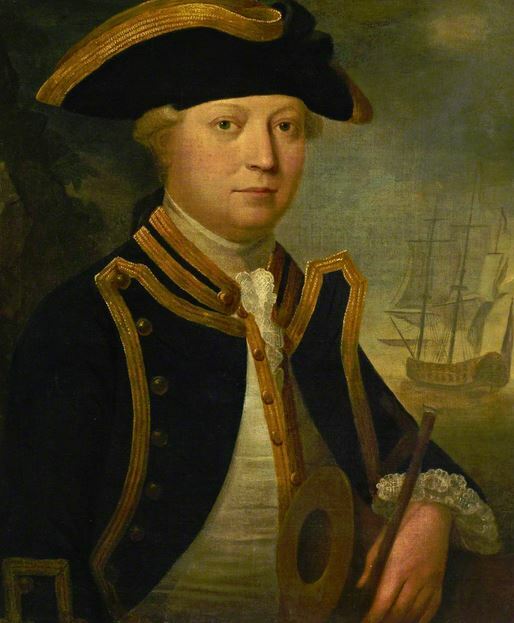 20) (Bromesberrow, co. Gloucester; John Yate, son of Robert Yate, Esq., of Dursley, m. Margaret, dau. 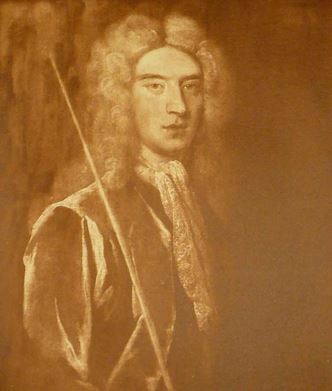 and coheir of John Berkeley, son of Sir Robert Berkeley, of Arlingham, in the same co.; his descendant, Walter Yate, of Hook House, in the parish of Bromesberrow, d.s.p. 1744, and was s. by his great-nephew, Robert Dobyns, Esq., of Evesbatch, co. Hereford, grandson of Robert Dobyns, and his wife, Catherine Yate, who in consequence assumed the surname and arms of Yate, by Act of Parliament, 1759 ;his son left at his decease 1785, a son, Walter Honeywood Yate, Esq., of Bromesberrow, and a dau. Caroline Elizabeth, in. 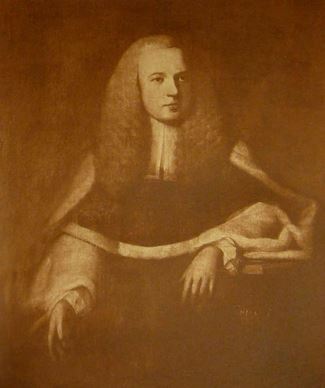 Richard Donovan, Esq., of Tibberton Court, a descendant of Donovan, of Ballymore, co. Wexford, and had an only child, Caroline Anne Donovan, m. James Scott, Esq., Capt. R.N.). Quarterly, 1st and 4th, az. a fess and in chief two mullets or, for Yate; 2nd and 3rd, az. a chev. betw. three annulets or, for Dobyns. Crests—1st: An elephant’s head ar. tusked or; 2nd: A falcon volant or. Mottoes—Quo virtus vocat, for Yate; Quod pudet hoc pigeat. pudet hoc pigeat. 21) (Lifford, co. Donegal; Fun. Ent. Ulster’s Office, 1675, Mary, dau. 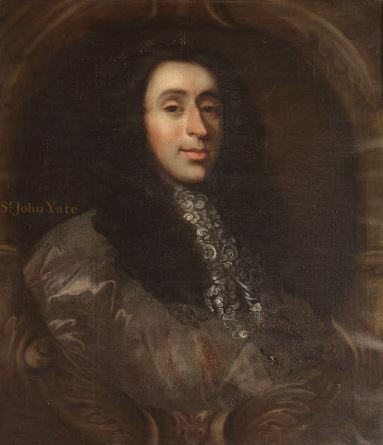 of John Yeates, of Lifford). Per fess embattled ar. and sa. three gates counterchanged. 22) Same Arms. Crest—A lion’s head erased ar. 23) Same Arms. Crest—A lion’s head erased ar. The last name Yates is a topographic name which denoted a person who lived near a gate of a walled town or a metonymic occupational name for a gatekeeper, derived from the Middle English word yates and Old English word geat, meaning gate. A similar theory is the name referred to a person who lived in a gap in a chain of hills, called a gate. A competing theory is offered by Henry Barber in his 1903 book British Family Names: “From the Old Norse, Geitr (? ); from the German, Jaty, Jaite; from the French, Jette; a personal name”. Spelling variants or names with similar etymologies include Yate, Yeates, Yeats, Yatess, Yetts, Yet, and Yete. Some claim the name is Anglo-Saxon in origin and traces back to medieval times. Others assert the name Anglo-Norman and came into England after the Norman Conquest of 1066 AD. The family first held land and titles in Gloucestershire and Old Hutton in Westmoreland. They owned an ancient manor called Hood Ridding in the latter county. Edward MacLysaght stated the following in regard to this surname in Ireland: “The famous family of Yeats, which had formerly been in Dublin, settled in Co. Sligo at the end of the seventeenth century. There are a number of families of Yates and Yeates elsewhere unconnected with them”. The first known bearers of this surname was Hereward de Jette who was documented in the Pipe Rolls of Gloucestershire in 1198 AD. Philip del Yate was listed in the Pipe Rolls of Cheshire in 1260 AD. Robert ate Yates was recorded in the Assize Rolls of Norfolk in 1344 AD. Adam del Yate was a juror during an inquisition held at Lochmaben, Scotland in 1347 AD. The Poll Tax Rolls of Yorkshire in 1379 AD lists one bearer: Johannes ate Yate. John Yet owned land in Arbroath, Scotland in 1425 AD. The surname Yates frequency/commonness ranks as follows in the British Isles: England (190th), Scotland (841st), Wales (334th), Ireland (2,369th) and Northern Ireland (1,552nd). In England, it ranks highest in counties Lancashire and Greater Manchester. In Scotland, the surname ranks highest in South Ayshire and Hebrides. In Ireland, it ranks highest in Connaught. In Wales, it ranks as Conwy and Denbighshire. The name is also present throughout the remainder English speaking world: Canada (1,419th), New Zealand (345th), Australia (362nd), and South Africa (5,034th). 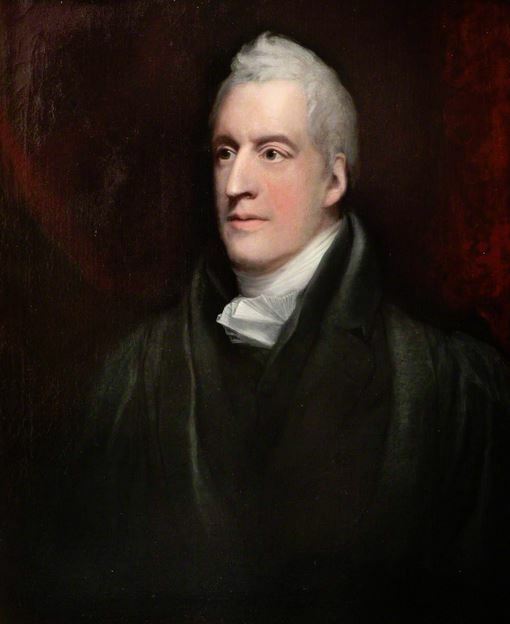 The Yates genealogy or pedigree of this branch of the family tree traces back to Reverend John Yates, of Dingle Head, Toxteth Park, Liverpool, who was born in 1765. 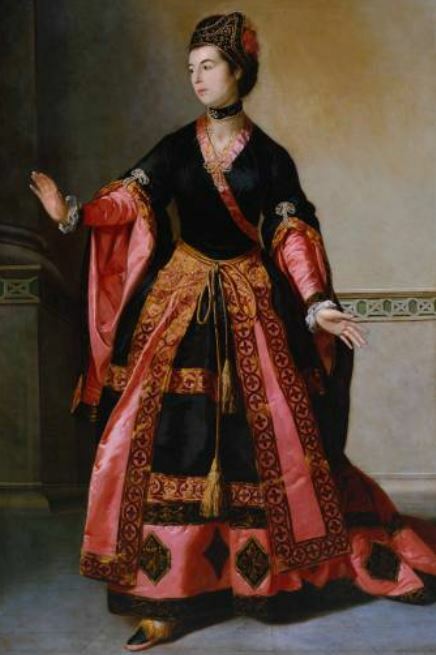 He married Eliza, daughter of John Ashton Esq. 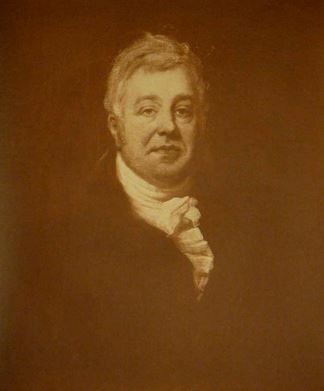 of Liverpool, and had the following issue with her: 1) Joseph Brooks (married Margaret Taylor of Blackley, had children named Elizabeth, Margaret, Sarah Jane, Anna Maria, Emma, and Harriet), 2) John of Ashton (discussed below), 3) Richard Vaughan (married Sarah, daughter of Richard Mills, and later Anne Simpson), 4) James (M.D., F.R.S of Lauderdale House, Highgate, married Dorothea, daughter of William Crompton of Edgbaston, county Warwick), 5) Pemberton Haywood, 6) Elizabeth, 7) Anna Maria (of Farm Field, Toxteth Park), and 8) Jane Ellen (of Farm Field, Toxteth Park). 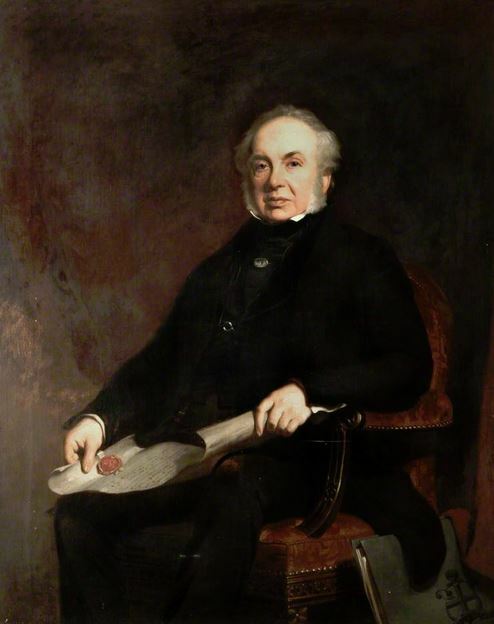 His son, John Ashton Yates, Esquire of Dingle Head, Toxteth Park, county Lancaster, was born in 1781. He was a Member of Parliament for county Carlow. 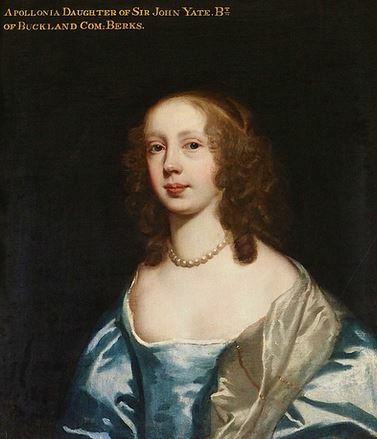 He married Frances Mary, daughter of Reverend Verney Lovett, and had the following children with him: 1) Frances (married Sir Richard Musgrave, Baronet of Tourin), 2) Mary Ellen (married John Needham Phillips, Esq., and Member of Parliament for Bury), 3) Ellen Mellissina, 4) Isabella, 5) Sophia (married Louis Tennysen d’Eyncourt, son of Charles Tennyson d’Eyncourt, Member of Parliament of Bayons Manor). 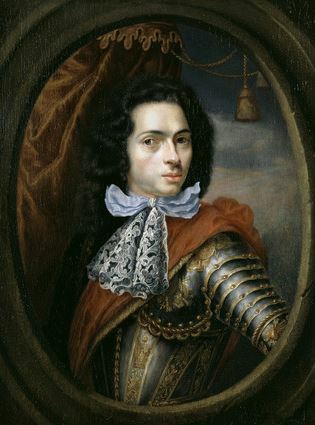 2) George Yate II was born in Anne Arundel, Maryland in 1674. He married Rachel Warfield and had the following issue: Michael, Samuel, George III, Joshua, Benjamin, Mary, Eleanor, and Rachel. 3) Elizabeth Yates McGreal (1905-2001) was an American writer born in Buffalo, New York who is best known for her novels Amos Fortune and Free Man.